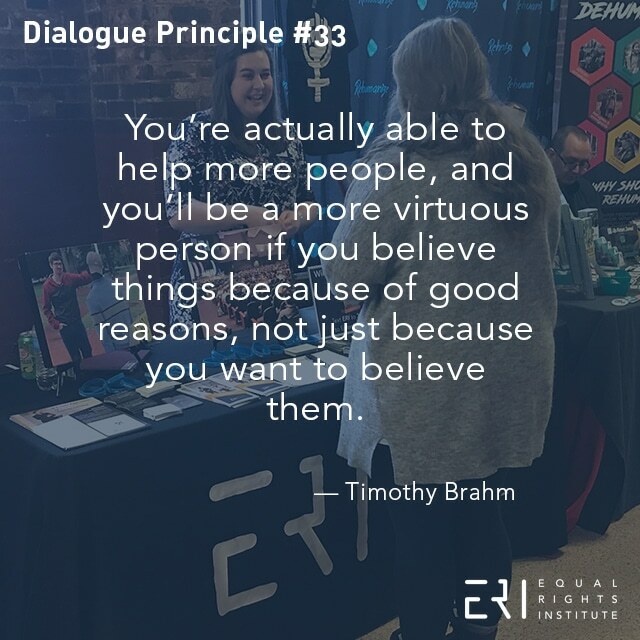 You’re actually able to help more people, and you’ll be a more virtuous person if you believe things because of good reasons, not just because you want to believe them. 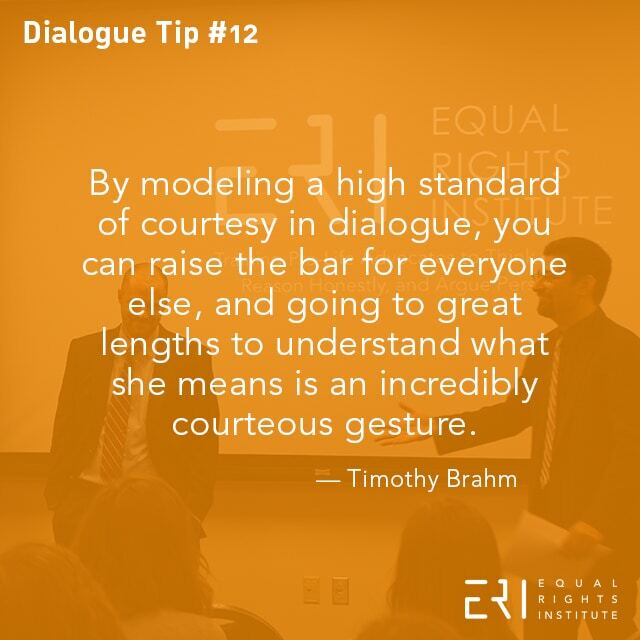 By modeling a high standard of courtesy in dialogue, you can raise the bar for everyone else, and going to great lengths to understand what she means is an incredibly courteous gesture. 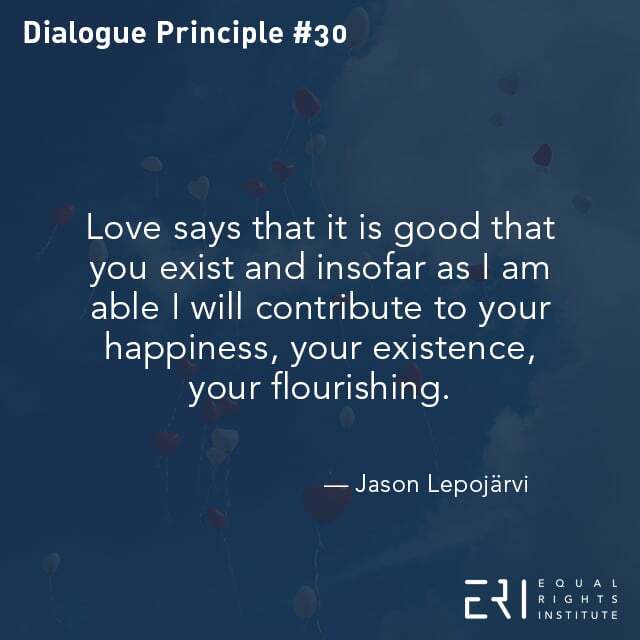 Love says that it is good that you exist and insofar as I am able I will contribute to your happiness, your existence, your flourishing. 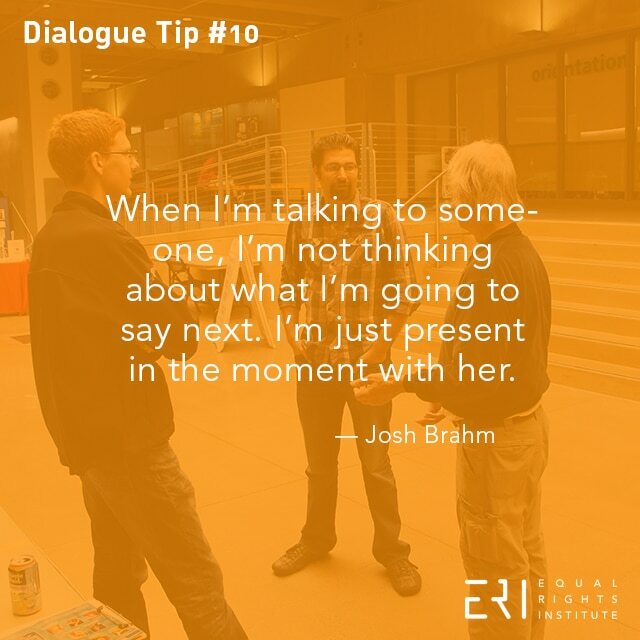 When I’m talking to someone, I’m not thinking about what I’m going to say next. I’m just present in the moment with her. 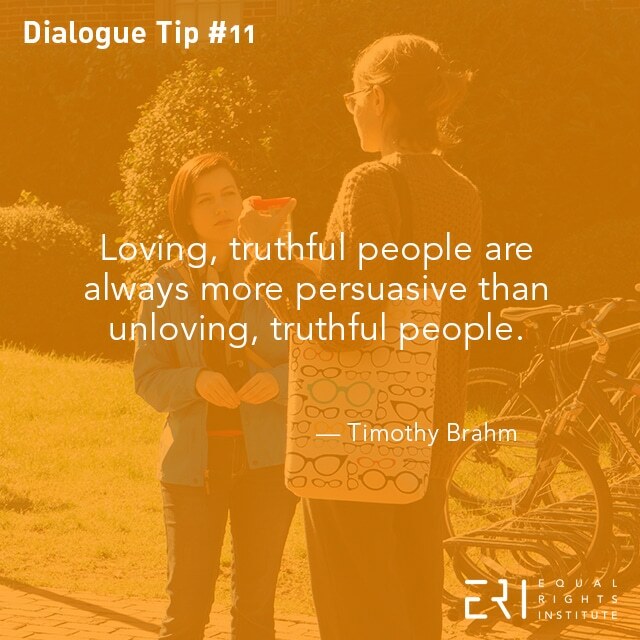 I’m thinking about everything she says.